English rock singer and musician John Waite was best known in the 80's for his solo hit, "Missing You" as well as his role in the band Bad English. Waite started out in the group called The Babys as lead singer and bassist. After a decent 5-year run, Waite launched his solo career and released the 1982 album "Ignition" which contained the single "Change". But it wasnt until the single was included on the 1985 movie sountrack "Vision Quest" that it climbed the charts. 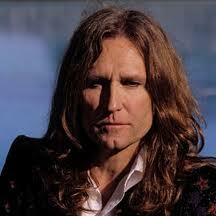 John Waite's 1984 single "Missing You" from the album "No Brakes" scored him a #1 slot on the Billboard Hot 100. Waite also had another sountrack hit in 1986 with "If Anybody Had a Heart" featured in the movie "About Last Night" with Demi Moore and Rob Lowe. That single scored him a spot in the top 100 as well. In 1988, John Waite, Neil Schon of Journey, drummer Deen Castronovo, and 2 members from Waite's former group The Babys formed Bad English. Bad English struck gold and a #1 slot on the charts with the 1989 single, "When I See You Smile". Eventually the band broke up in 1992 due to tension between members.